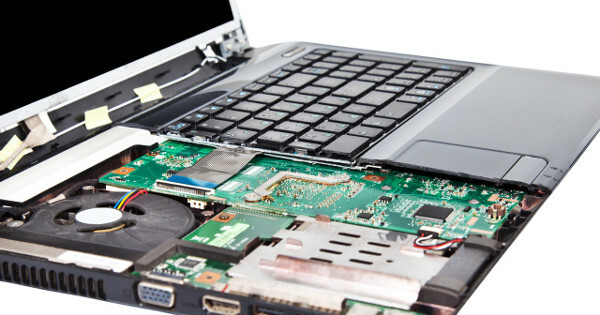 Laptops are generally built as is, they are not really meant to be taken apart or have their specifications altered but depending on the make and model we are able to upgrade or change the hard drive (Every model we’ve seen.) The RAM (The clear majority of Models we’ve seen) and the CPU (70% give or take of models we’ve seen.) What we can’t upgrade, if it’s there, is the discrete graphics chip. One of the great advantages of Desktop Computers, especially ones that are built by places like us, is their upgradability. Pretty much everything in a standard, midi tower or full tower can be upgraded and swapped about. 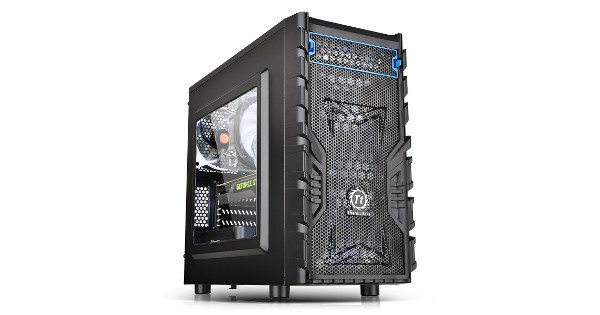 Smaller sized desktops like small form factor PCs, all in ones and off the shelf brand name ones are less so. But there’s still plenty you can do with them. Ram (Memory) is your PC’s blackboard. The more it has the more it can do at once. Ram is fast temporary storage that the computer uses to store applications that are running. If you press control + Shift + Escape at the same time in windows you will bring up the task manager window. Under the process tab, Windows will tell you how much RAM as a percentage is currently being used and by what. Computers slow down when they use more RAM than they actually have. Windows will make up the deficit by utilising hard drive space which is significantly slower. You’ll hear your PC chunter along as it reads and writes to the hard drive continuedly. Increasing RAM can make a massive difference to PCs with little. The Minimum we would recommend for Windows 7/8.1 and 10 is 3GB. 4gb is generally the average, 8gb is optimal and 16gb+ is recommended for gaming or image and video work. The general rule has always been you can’t have enough RAM, but the laws of diminishing return apply. Going from 2GB of RAM to 4GB makes a tremendous difference. going from 16GB to 32GB wouldn’t be noticeable in everyday use. There are several types of RAM and different speeds. Most upgrades are done within the hour subject to stock. The Hard drive is where your computer keeps all your stuff and its operating system. Computers will slow down (and become a little unstable) if they run out of space. This is relatively rare these days as the average storage size is 500GB which can roughly hold about 160000 photos or 8000 hours of music. Plenty for the average user. There are three types of hard drive at present. The older mechanical Hard disk drive which uses a magnified head to fly of the surface of a platter reading and writing, the much faster and more modern Solid-state drive which uses Memory like storage and is significantly faster and a hybrid of both. If you are looking to speed up your PC for general use an upgrade to a solid-state drive can make a huge difference. (boot up times can be improved from a couple of minutes to a handful of seconds.) We can clone your existing hard drive on to a much faster Solid-state drive so the only difference you see is the massive gain in speed. Recommended upgrade. You get a lot less storage comparatively for your money with a solid-state drive so a good compromise is a hybrid drive. this uses a small amount of solid state memory to speed things up but comes backed up with a standard spinning disk. ask us at our Penrith computer shop for details or email us at info@spbcomputers.net. The Graphics chip (GPU) handles everything on the screen and determines how fancy or fast your PC can generate and display Computer generated imagery (CGI) Basic GPU’s handle everyday tasks like YouTube, flash games and solitaire with relative ease, but if you want to play more intense games, power a 4k monitor or run advanced editing programs like photoshop you need a higher specification and if you have a laptop, you’re stuck with what you have. Desktops however can generally take most upgrades. High end graphics cards, the kind of card that you would want for the latest games on the best settings may also require an upgrade to the Power supply unit and enough room in the computer case. These cards are big. We are happy to advice and supply new and refurbished Graphic cards tailored to your budget and the kind of games you want to play or applications you’d like to run. operating system is in good order a CPU upgrade will make a noticeable difference. Processors are grouped in to socket type and make. You can’t upgrade from an intel socket 1150 to an AM4 socket without changing your mainboard. (and possibly RAM) (Which is still a common upgrade option, albeit a major one.) Desktop CPU upgrades are usually straight forward. We can upgrade just the CPU for your socket type or we can replace the mainboard, RAM and processor for a major overhaul. Your PC will still boot up to windows as you brought it in but will do so with a lot more power! Laptop CPU upgrades are still possible for a lot of models but there is no option for changing the motherboard, so you are limited to the processors for a particular board and socket. Newer laptops have a highr chance of having the processor soldered directly onto the mainboard. These are not upgradable. Callin to our Penrith Computer shop for some free and impartial advice.